I will have to admit, it wasn't all work and no play on my recent antiques buying trip to the UK. 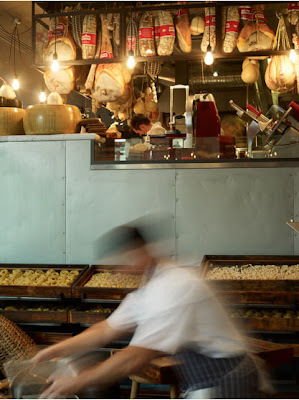 A fellow antique dealer in the Cotswolds recommended we try Jamie's Italian restaurant as were headed for Bath in Somerset. 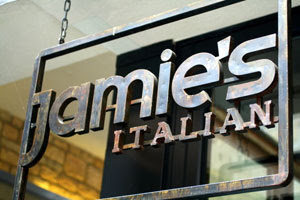 I was quite unaware that Jamie Oliver had a restaurant in Bath and when we discovered that it was a casual restaurant with no need to book, we were sold! And I love the historic city of Bath with its wonderful sweeping Regency architecture. And from my previous experiences, the city is even more alluring in the evening. I need little prompting to visit Bath on our travels, it is possibly my favourite city in the UK. I couldn't help but notice the vintage industrial pendant light fittings above the stairwell as we were shown to our table. We have had very similar shades to these in our store recently (not surprisingly, they sold almost instantly). 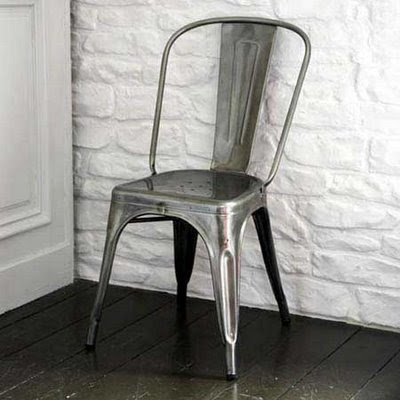 Tolix metal chairs were at the tables. 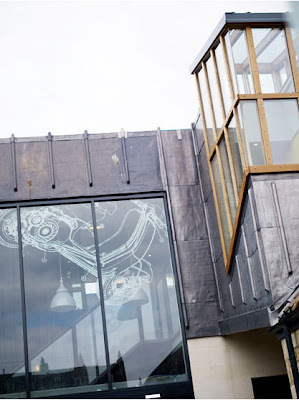 The industrial look works particularly well in a more casual restaurant and it can give a clean feel to the settings. 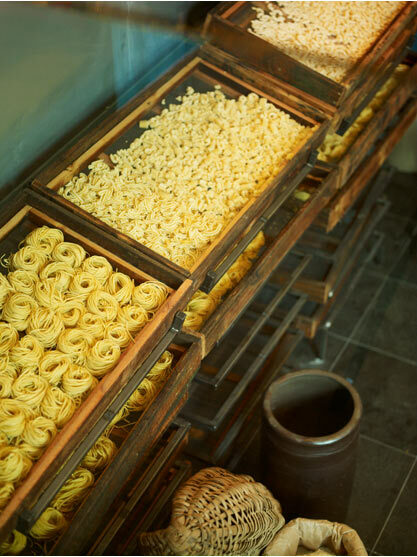 All the pasta is hand-made, of course! The vintage inspired tea towels were used as napkins. Lemon curd tart for dessert...on vintage inspired enamel plates. Tammy, can I ask for some help please? I have a seat that I am trying to do up and want to have the upholstery done professionally. Can you email me if you can help me or if you use a particular person that you are happy with? I've died and gone to heaven...all the great shops are thousands of miles from me! Enjoy your autumn down under. Thanks for your kind comments!